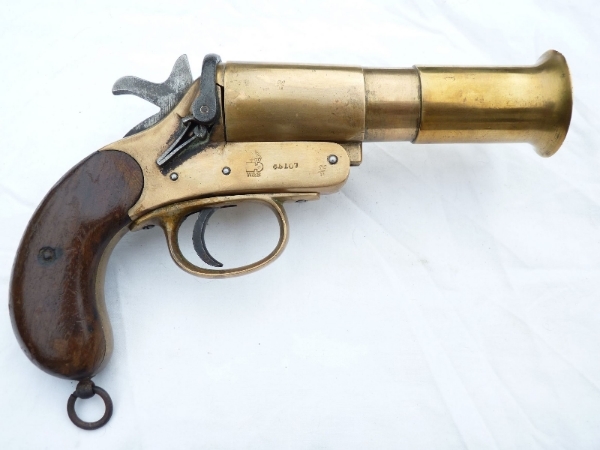 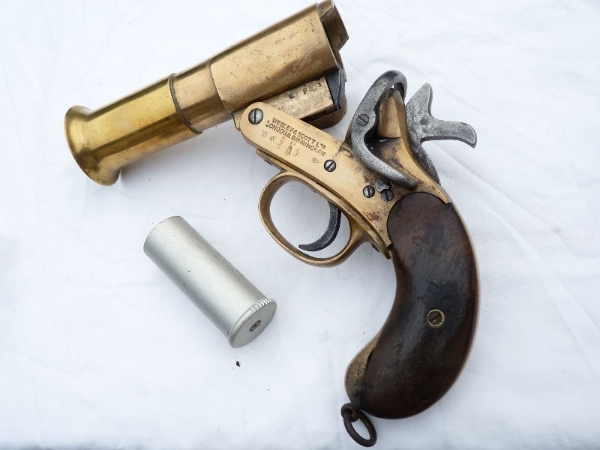 This is a brass-bodied Webley & Scott flare pistol in super condition, fitted with the optional brass trumpet extension in good undented condition. 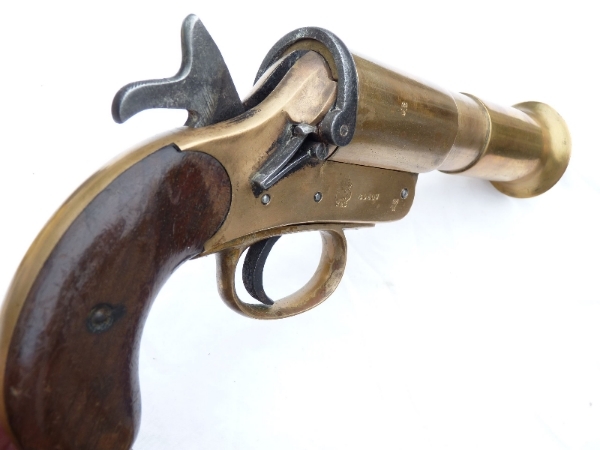 Dated 1917 on the frame and barrel, with many acceptance stamps, there is unfortunately a small piece of wood missing from one grip, though easy to repair. 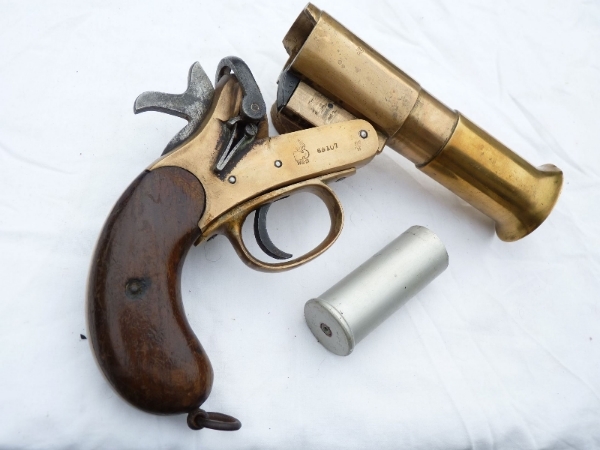 Able to be cocked and dry-fired, this flare pistol comes with a post-war empty flare cartridge case. 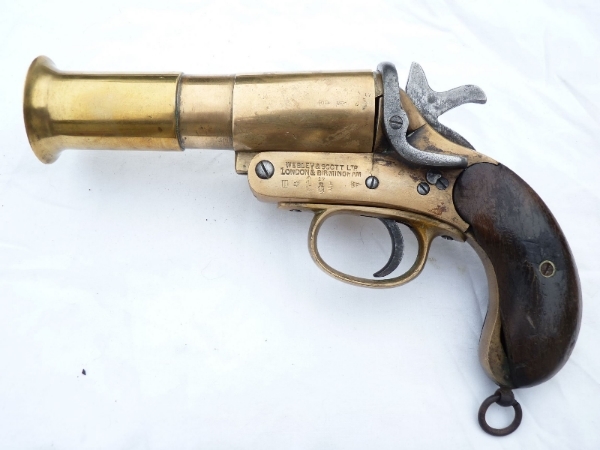 Deactivated in the UK with Certificate to UK specification.